The United Nations declared 2010 to be the International Year of Biodiversity. It is a celebration of life on earth and of the value of biodiversity for our lives. 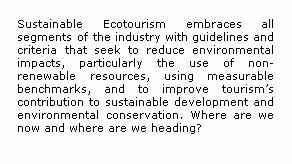 The tourism industry and travelers at large are invited to take action in 2010 and beyond to safeguard the variety of life on earth: Biodiversity. 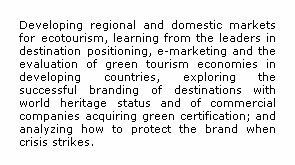 In joining and consolidating this global campaign, UNWTO and the international tourism community will be celebrating the 30th World Tourism Day (WTD) in Guangdong Province of China on 27th September 2010 under the theme Tourism and Biodiversity. It is not too late for Governments, the private sector, academia, civil societies and media to act upon the challenges of safeguarding biodiversity, and I am confident that the tourism community will work hand in hand with the scientific community and forge ahead to develop viable solutions, innovative ideas and strategic adaptations that can close the divide between tourism socio-economic pursuits and conservation of biodiversity. 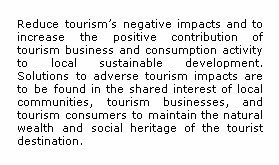 While ecotourism plays an important role as a socio-economic driver to boost local economies and communities, ecotourism industry stakeholders from both the public and private sectors are strongly urged to assess ecological impacts, embrace best practices in sustainable tourism development and rise as true champions of tourism and biodiversity. On this note and preceding the celebratory launch of Tourism and Biodiversity on World Tourism Day 2010 in China, I must congratulate DISCOVERYMICE, an affiliate member of UNWTO on organizing the 2nd World Ecotourism Conference 2010 in Kuala Lumpur, Malaysia from 8th to 10th July 2010. UNWTO lauds noble initiatives that bring global tourism players together to network, collaborate and share their experiences, best practices, technologies for the betterment of nature conservation, environment protection, preservation of communities and consequently the advancement of sustainable tourism around the world. 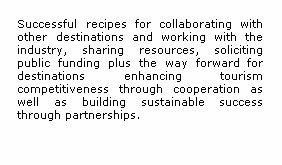 UNWTO endorsed the Vientiane Declaration on Ecotourism for Developing Countries in 2009 on the occasion of the World Ecotourism Conference held in Vientiane, Lao PDR. 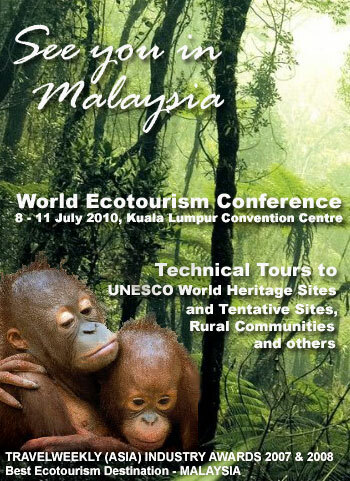 I am confident that with the participation of eminent speakers and delegates from over 30 countries, the discussions and proceedings of the Kuala Lumpur Conference will help to assist countries that are in need of global knowledge and leverage to champion, position and support ecotourism policies and initiatives that will bring transformational changes for the betterment of their economies, people or environment. I wish the Conference every success.